Attic lights, garage lighting and lighting basements are all situations where where a motion sensor light socket can save you a lot of money on electricity. These are places where if someone forgets to turn the light off, it can potentially stay on for quite a while without you noticing. The standard nature of this socket gives you flexibility. It accepts bulbs up to 100 Watts. This fixture is about as easy to install as it gets. Just twist it into the existing light socket, and twist your bulb into the top. It senses motion in all directions. These lights have been out for many years and are reliable. They also make great pantry lights, since the light only comes on when you open the door, and you can’t forget it on. 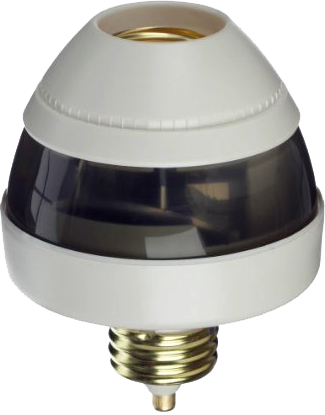 If you would prefer something more aimable, or you want to use a CFL bulb, you may prefer this motion detector socket by Aerican Tack.